Each year, many international students pursue Masters in Management (MiM) programs in the Netherlands. With its liberal traditions, bustling cities, and beautiful countryside, there are far worse places to study. Those pursuing MiM programs in the Netherlands have a few options in terms of where they can study. 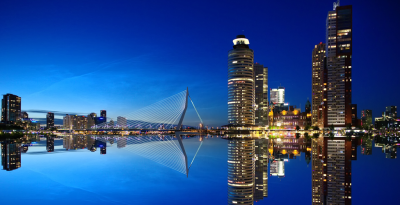 Some opt to go to Rotterdam, a city in the country's south, which is, incidentally, Europe's largest port. As a center for economic activity and logistics, it can be a great location to study a MiM programs, because students can find ample opportunities to network. Another option for those interested in pursuing a business master's program in the Netherlands is Amsterdam, the country's largest city. Amsterdam has an extensive canal system, as well as a network of bike paths, not to mention its natural beauty and artistic heritage. It's also a major finance center, which is attractive for finance-oriented Masters in Management students. Other destinations for MiM students in the Netherlands include Maastricht and Tilburg, among others. A number of business schools all over the country offer internationally-accredited MiM programs, along with other business masters programs, such as MScs in Finance, Masters programs in Supply Chain, and MScs in Information Technology, among others. Fortunately for non-Dutch speaking students interested in studying an MiM program in the Netherlands, English is commonly spoken. Not only do many of the country's business schools offer business masters programs in the English language, around 90 percent of people in the country can converse in English. See all MiM programs in the Netherlands below.